The portable CJ15ex8.5B is an important 4K UHD zoom lens that is part of our 2/3-inch UHDgc series. Its compact size and low weight support the high mobility shooting often entailed in sports and many other genres of television field production. 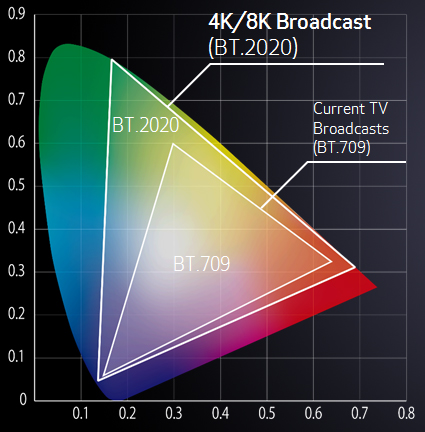 For those seeking a new lens for contemporary HDTV production - while also anticipating a future shift to 4K production - this lens enhances current HDTV optical imaging performance while potentially future-proofing for the longer term. The 15x zoom ratio supports a focal length range of 8.5 - 128mm, and Canon's exclusive Vari-Angle Prism (VAP) technology provide outstanding optical image stabilization across the entire zoom range while maintaining 4K-compatible optical performance. Design strategies have extended the optical dynamic range to meet contemporary HDR imaging requirements. 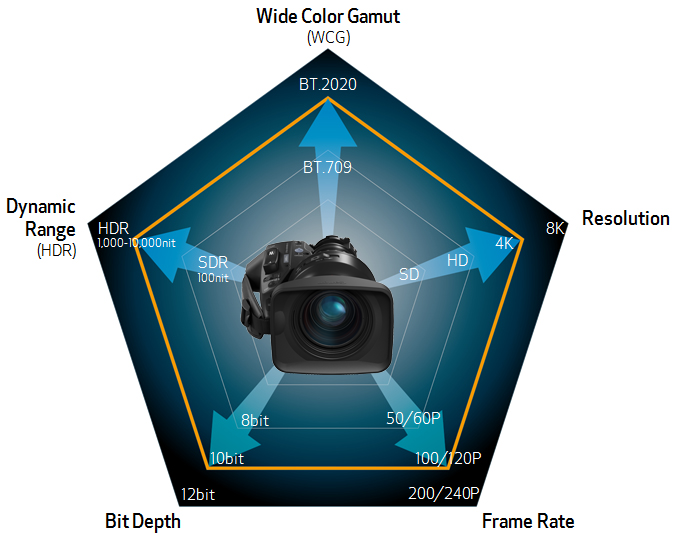 The lens also supports the wider color gamut specified in the international standard ITU-R BT.2020. An advanced digital drive unit deploying 16-bit encoders is fully compatible with the zoom, focus and iris controllers used with established broadcast 2/3-inch HDTV cameras. Three 20-pin connectors on the drive unit interface with these controllers (such as the ZSD-300D and FPD-400D) while also providing a 16-bit interface to virtual systems. The unit empowers a variety of operational capabilities that are set up using the on-board display. The portable CJ15ex8.5B 4K UHD lens was developed using our exclusive optical design technology to achieve superb optical performance, with 4K resolving power and high contrast from the center of the screen to the edges. High index optical glass materials, each having unique dispersion characteristics, help minimize chromatic aberrations and geometric distortion. Lens element surface accuracy has been improved significantly over HDTV lenses contributing to the enhanced Modulation Transfer Function (MTF) performance required of 4K imagery. Multi-layer optical coatings combined with strategic deposition processes help ensure a deep black reproduction that is central to HDR imaging. The portable CJ15ex8.5B 4K features dependable optical image stabilization for various shooting environments using Canon's exclusive Vari-Angle Prism (VAP) technology. This system provides excellent image stabilization across the entire zoom range, while maintaining 4K-compatible optical performance. 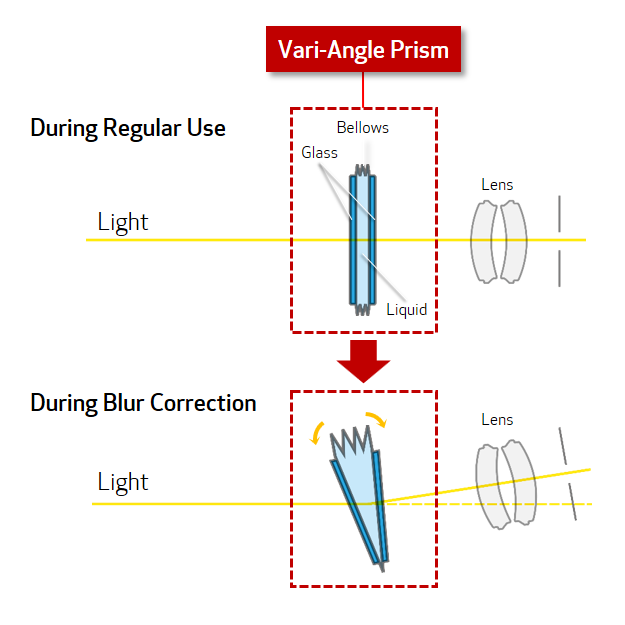 The Canon developed Vari-Angle Prism (VAP) technology is an innovative image stabilization system based upon a flexible prism intercepting the light rays entering the lens proper – known as the Vari-Angle Prism Optical stabilization (VAP-IS). This system is ideally suited to removing image blur due to vibration frequencies encountered in a variety of shooting situations. This is especially important for 4K lens-camera system where the far higher resolution makes such image blur more visible. The Image Stabilization feature can be activated directly on the lens. When using the image stabilization function, the IS lever is set to ON, and a mechanical lock is released. The stabilization function is turned on by moving the IS lever in the direction of the arrow until it locks. After using the lens, be sure to press the OFF button to re-engage the mechanical lock. 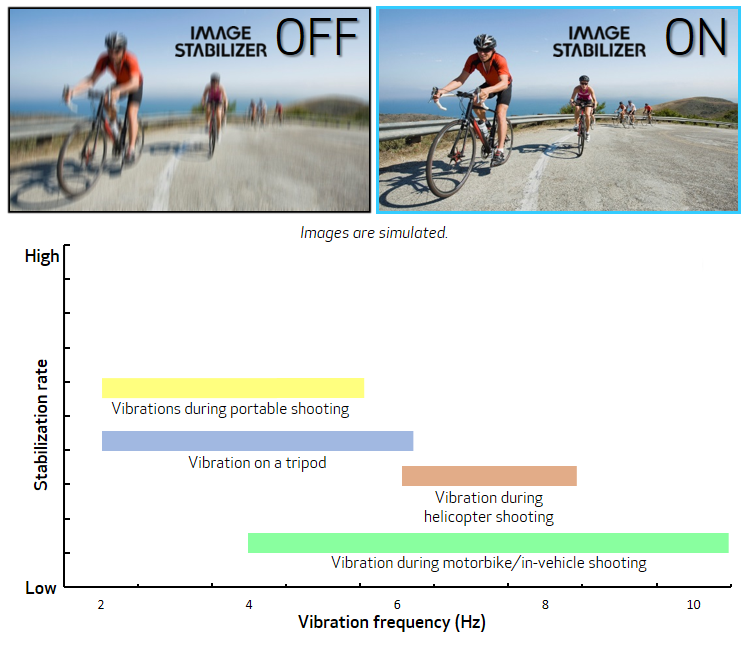 Greater stabilization effects can be achieved by using two modes according to shooting situation and vibration. The switch is located on the relay part. to prevent any shaking or fluttering effect on the screen. Weighing only 4.48 lbs. and measuring 6.7” (W) x 4.6” (H) x 9.4” (L), the portable CJ15ex8.5B 4K UHD lens is similar in size to our 2/3" HD lenses, while delivering 4K performance and offering the mobility demanded in the reporting and documentary fields. The lens features the optimum construction and high durability of a conventional HD lens, while offering the same shooting style as that of existing 2/3" HD lenses. The portable CJ15ex8.5B 4K UHD lens features correction data that supports BT.2020, which offers a wider color gamut than the conventional BT.709 broadcasting standard. This enables excellent color reproduction to the corners of the screen when attached to a 4K camera. Like our UHDxs series lenses, the CJ15ex8.5B provides optimized chromatic aberration correction based on BT.2020 correction data, enabling more lifelike high-resolution video shooting with outstanding tonality, realistic texture and depth. 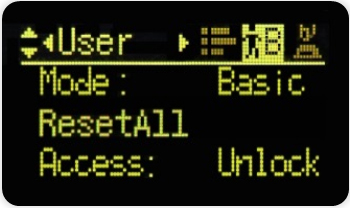 This feature allows for compatibility with a broadcast-use HD demand. It enables the use of the zoom and focus electrical drive system accessories (such as the ZSD-300D and FPD-400D) which are currently used by HD equipment. 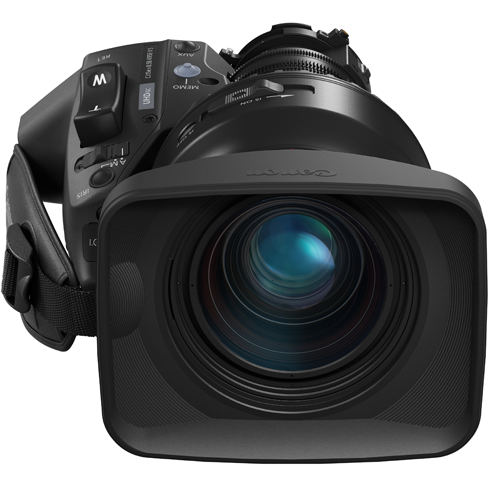 The portable CJ15ex8.5B 4K UHD lens incorporates a digital drive unit, and the high-performance 16-bit encoder supports communication with compatible 2/3" HDTV/UHDTV cameras equipped with aberration correction functionality, without initializing the lens. Three 20-pin connectors enable high-definition lens output for virtual systems even during full-servo operation. In addition, the low power consumption and the simple display enhance operability. 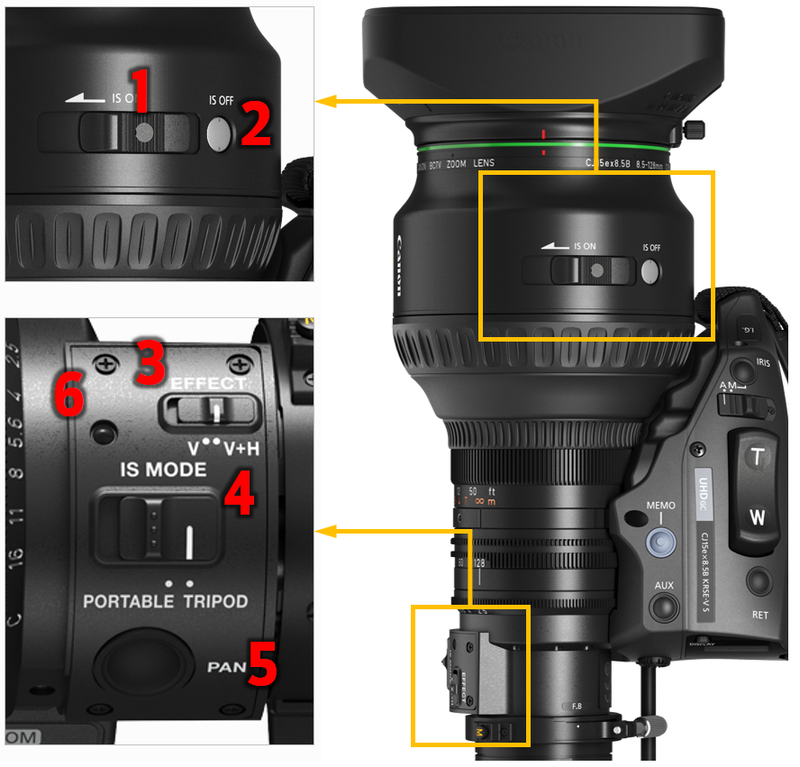 The drive unit of the CJ15ex8.5B 4K UHD lens can output accurate lens position data from the moment the power is turned on and does not require initialization, contributing to the quick start when shooting. This is possible thanks to the drive unit's 16-bit absolute value encoder. Eliminating initialization of the encoder at power-on simplifies calibration when composing virtual and live-action images, and helps to create more accurate composites. The drive unit of the CJ15ex8.5B 4K UHD lens uses three 20-pin connectors. 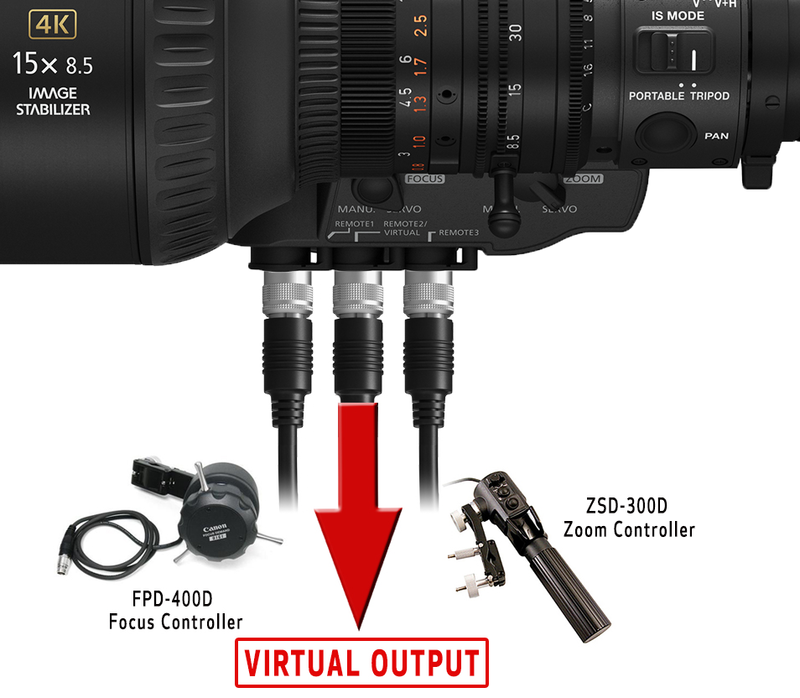 One of these connectors outputs 16 bit high precision lens positional data, allowing for output even while the zoom and focus servo controllers are in use. This high-performance encoder helps simplify calibration when composing virtual and live-action images, thus resulting in more accurate composites. Now a new era of 4K UHD has arrived. Paralleling this is a veritable explosion in video content and distribution over many platforms. Both large format Super 35mm and small 2/3-inch image format lens cameras are in high demand. Having met the initial thrust of 4K UHD into worldwide sports coverage with large box field lenses, Canon more recently turned its focus to extending the capabilities of portable field production. To grasp the challenges posed to developing portable long zoom 2/3-inch lenses for 4K UHD it is helpful to first benchmark the pioneering development of such extended focal range lenses for HDTV. Learn about Canon's lineup of Broadcast lenses..